Debate: Should there be a reward for capturing relics? I want a debate about if Broadsword should implement a reward system for relics. This is to allowing players to get items for temps, give a 15-20k realm points or giving extra bonuses such as realm points/xp for the realm that has captured enemy relics and place them in their homeland. The reason I want a debate about this is because I've noticed relics are worthless and no battlegroup leader wants to take relics anymore due to they take to long to take back and nothing to gain from. If we are able to give better rewards for capturing relics would this make realm vs realm Zerging more interesting and fun, would this bring back some great defence fights? What I've seen recently is keeps being taken but goes no further. I would say we need to relook at the relic system and see if we can add something that will make them have meaning in the game again. It's a thing that is missing in the game at the moment and battlegroups/zergs need an objective. 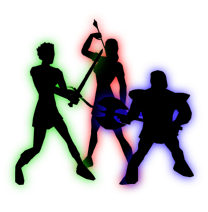 Any feedback from players, Knights or even Devs on this matter would be much appreciated. I would love to see the Travelling Merchants appear in the realm that holds a certain number of relics. Or the frozen instanz will open for the realm that holds all relics etc. Something in that direction maybe. The problem with RP Bonuses is simply that everyone joins that realm once they see that there is a constant bonus. And at that point no one will really be able to motivate ppl to get the relic back. Your Thread was closed to early? Feel free to PM me ! It'd be nice not to tie peoples ability to progress gear-wise to something that really is out of their control. That's been my biggest gripe since returning both when OW was first released, and then again here. I don't play during big pop times, which leaves me **** out of luck if progression is gated behind battle groups and larger raids. The whole issue I see with relics nowadays is that they're moot. People play on just about every realm - so there is no real "loyalty" or reason to dig in and defend hard when you can just switch to whichever realm has the most applicable advantages to your situation, and work on your chars on that realm. They made more sense when people mostly stuck to one realm, I don't even think they really make sense with the game how it is nowadays. Personally dislike an rp reward for taking relics, irrelevant of whether they are being taken atm or not. This would just become a numbers game, same as most eu fights. I believe rp's should come from killing people and not capturing a relic. Ding Ding Ding! Hit it right on the nose! I'm sick in my stomach at the damage this has caused to Daoc....there is no passion in this game anymore. What about if you take a relic you earn artifact credit kinda like a currency that you can use to buy special items. Get 5 relic takes you get 5 points and you could buy a chest piece for that char or something... non tradable. At the present state of play, as we have seen for some time, relic's can and have been PvE'd easily at multiple points during the <24 hour> day. Randomly giving more rewards without significant changes would simply be making YWAIN more like GAHERIS --- fix RVR first, address the low and fluid population issues or you just have people popping back and forth for relic credit devaluing the entire effort. I thought relics give 10% melee and spell damage? @Carol_Broadsword Relics need to be incentive for taking relics. Like more damage and RPs, but also we need to bring back a realm timer so people can’t switch with the Zerg. Doesn’t have to be very harsh, maybe if you earned RPs in realm 1, when switching you don’t earn RPs in realm 2 for at least 2 hours. The worst thing is when people switch from Hero Zerg to Anna Zerg after one death. I agree with xyroman on this one before you have an incentive for taking relics you need to sort out the ease with which they can be taken and give the defending realm the advantage not just for relics but for keeps as well. You also need to address the realm pride issue a dirty word for a lot of people but a vital part in what made daoc work something I really think we have lost. And if you put in an incentive for taking a relic you should put in an incentive for defending it as well. My other issue with relic incentives at this moment in time is that it would only benefit the pve full time 24 / 7 zergs to the detriment of lower pop realms. I get the impression that relics are not really important anymore. I totally agree realm loyalty has completely gone out the window of this game and people just switch when the tough get's going. I would like realm timers however I think that would damage the population and be more restrictive and that's a thing Broadsword can't afford to change. So the only thing that this debate gearing towards loyalty bonuses and maybe some sort of reward that you can get if you've been helping the battlegroup that has taken relics and not switched from another realm. Or is relics worth having in game if no one is really interested in them anymore? Is it time the relic system changes maybe? When you make it easy to jump to a winning side you devalue many things, when it becomes simple to achieve a goal by simply waiting or allowing folks to achieve by simply switching sides as opposed to actually earning it, it becomes devalued. RP's are what people want, and the current system encourages folks to solo or small man --- it is way easier to 'exploit the system' and max out rp's through quests than actually have to fight another, thinking, fighting group of folks....when a solo player can kill 18 people and achieve an avg of 10K per kill through various methods <you decide if they are exploits or not> while those in a bg cant ever get close to that ..... where is the incentive. My fear as you put more and more objectives/rewards/whatever in to what is perceived as RvR, you will make the problem worse, not better. Right now, realm is cosmetic. u suggest every zergling to be rewarded with similar rp/hour as solo/small etc? Timers won't work, to many have multiple accounts these days, so if they have a timer on one they can just log another acc. Plus I have accidently chosen the wrong realm, so have others. It wouldn't be fair to punish those for mistakes. As far as solo players getting high rps, it's quite possible with all the bonuses, and items to get close to 10k on a high rr solo kill, depending what realm bonus is at that time. (Without exploits) I average 100k in 3 hrs in a bg with Anna, and when I'm on another realm zerg I get around 100k in 4 to 5 hrs. (Unless I'm playing a healer class then It's more) that's not bad imho. As far as it not being as much per kill as a soloer, well there is far greater risk in soloing then in zerging, therefore the solo player should get more per kill than a person in a zerg. It's common sense really. "I was thinking of the immortal words of Socrates when he said, "I drank what?"" This could be a great idea, I'm just not sure of exactly what the reward could/should be. If it happened - It would be need to be coded that those which put in the most effort/time get the most reward and those that merely jump realm or join at the last second receive minimal if it happened. E.g those that particpate in teh entire 3 hour raid are rewarded in turn vs those that join for the last 15 minutes etc. Yeah definitely. It could be a real mess if it was something that allowed people to hop realms to reap the benefits of it. -Some sort of currency cache/item drops? ---Most of the ideas you can go on the opposite side of in terms of defense rewards -- a successful defense can spawn a chest at the end of the encounter or something fun like that. You can also add a 'successful relic defense' title or leaderboard in conjunction with the "relics taken" leaderboard. The problem is you can literally watch the numbers fly <realm to realm> at certain times of day; the relics are simply easily taken with NO resistance. Moreover, you have issues of folks just pinging back and forth to get the rewards -- while it would be impossible to solve every issue, I believe rewarding DEFENSE is a start <actually HUGELY rewarding Defense and not rewarding actual attackers who flame a keep and get defense bonuses while standing around>; there are other options but whether they are feasible from a programming perspective or efficient <time spent v. reward/effect> would have to be considered. As to realm timers -- it is one method to address the fluidity issue and not necessarily the best or only way; but the argument that timers stop anything is facetious -- there are myriad ways to ensure you get to the realm you wish with those who you wish to play or solo without triggering a timer. It would appear that this thread, while the title deals with relics, is intertwined with realm loyalties. Perhaps some sort of system that promotes realm loyalty via a progressive reward system. You log on two days in a row 10% bonus coin, 3 days bonus XP, 4 days bonus bps, 5 days bonus rps, etc, up to a point. Could also consider a realm bonus to this where the realm that holds its relics the longest or for a period of time, increasing on a scale, receives a % bonus to the individual bonuses. Attacking realms of captured relics transfer some of the bonus the realm had when captured. Maybe a display that shows what each realm bonus currently is. Could even have a "power" bar that would adjust up or down for each keep take/loss, where relics takes would transfer some of this "power"
I've been thinking lately that the daily quests need more variety. Maybe add a daily that involve relic takes. Set it so that you can only have a limited number of dailies active at one time and have the general offer different ones each day. Maybe have relic keep lord drop something valuable since they don't drop keys like a regular keep. Realm loyalty would have been useful 10 years ago it is irrelevant now because you need to swap realms constantly to get fights. Relics can just be removed or left alone imo. The zergs just dodge each other and chase down smallmans and 8 mans. Nobody tries to improve thier play they just reach for greater numbers. Why give bonuses to players who do nothing but run arouund. You have rr12s that only know how to smash grp heal or tanks that just spam anytime or the army of thanes that just spam aoe. Give 8 mans /small mans a boost if anything make people have to learn thier classes and form up instead of sitting around like zombies. Broadsword promotes this when Tald runs with his crossrealmers on twitch. Sure it's part of the game but it also gives false hope to new accounts and people returning to the game. Realm loyalty would have been useful 10 years ago it is irrelevant now because you need to swap realms constantly to get fights. The only do it the winning team joiner, we need a bonus system for the people to stay at there realm! It is a big lie to say you switch to get fights, but if you do its ok but you get a penalty. Thats the only way to stop this damn realmhopping to the realm whos winning. Please stick to the topic, flaming, and inaccurate comments aren't needed here. If you have an issue - make a new topic and get it addressed. Streaming on twitch is great advertisement for the game - everyones playstyle is different. There is no false hopes given. It is part of the topic! When crossrealmers switch over to the realm that is loosing and turn the tide and the realm that stayed true to their colors lost because you guys switch over at the drop of a dime. As for your play style.....yes it does and has destroyed this game. You have made your own set of rules and to this day those rules change on a daily bases and i can hardly believe a company has backed this style of play. You think this is a flame but it's not and i know a ton of people that think the same as i do. As a matter of fact at least 10 of the replys above talked about crossrealming in them. I can understand if your mad because i called u and BS out on it. Your promoting cross realming on your streams and that is not what we need right now for daoc. This is called realm hopping, not crossrealming - and based on this thread/topic the complaint is people jumping over to the larger zerg thus lopsiding the realm - and enhancing the already oversized zerg. We do the opposite, i jump to the weakest realm to even the tide - thus creating more action that otherwise would not have been there. Yes I am a fan of realm pride, but at the same time - I also play for action. If there is 3fgh 3fgm zero albs out - then its guaranteed i will switch to Alb. I would have no problems if realm timers were re-introduced, but until then i will play for teh weakest realm. How is that making up rules, anyone who wants fights has to swap or there is nothing to fight. It's not cross realming, it's not making up rules, it's playing where the action is. The population is so low that might be 5-6 grouos out at a time that's it. You expect people to just sit around and wait for people to log on form up and fight. Give your head a shake. As for playstyle ruining the game, you mean forming proper groups with classes that synergize to get the most out of a setup to beat other grouos ruined an PvP game? You either need to provide some facts or atleast some kind of point to this topic not just call people out over false accusations on topics you don't even grasp. When u crossrealm/realm swap, what ever u guys call it, you bring knowledge of that said realm. Weather it be when hib has the advantage because they worked to get a keep for an hour and finally about to take it and BAM guess who AJ'S from behind because they switched to the lesser populated realm with the knowledge of who was on that keep. You just caused 2 groups to log off because they thought 5 min ago you were playing your hibs. Or when u get mad because a 4 man added to your 8v8 that was smack in the middle of their quest. So with that knowledge u log on the other realm and kill the 4 man. I could go ON AND ON AND ON about some of the STUPID rules you guys make up. There should be no reward for taking relics because they are to easy to take when there are no defending realm BG to try and defend them. This is more true for Hibs during Euro time than any. People log over to there Hibs and join the only active BG going and go around killing small man and solos that try to defend and pretty much just PVE keeps already. No reason to reward a BG for taking a relic that is hardly defended. If people want a 3 realm fight than there has to be 3 realm BGs to fight, but this is a population problem and a realm pride "loyalty" problem also leadership problem. There has to be some one on each realm steeping up running regular BGs on all 3 realms everyday during the Euro and US prime time to accomplish this. I once posted on the troll forums a idea on how to maybe raise the population by bringing back old players and also fix the problem of realm hopping by changing the subscription pricing to the amount of game content the player is looking for. I think a lot of old players would come back at a discounted price for those that only played 1 or 2 realms. And the ones that come back to play 1 realm that was there favorite would help to start build some realm loyalty to this game again and hopefully would be enough to have a effect on the population which is pretty much the center of all of DAoC problems. This is so true I can play my SB and ST a keep get 20 kills at 3k+ each and them get keep defense bonus for a added 3k+ and easily get 120K+ off those 20 kills and complete a quest for another 20k and have a 140k for 20 kills. This can be seen just by looking at sakibombs stats for a day. Another problem is the Ruin Towns and the solo quest. The towns need removed and /bow duels needs to be gone, people need to roam and earn there solos not /bow there way to 6 kills and collect 40k+ RP for dueling with the OP flavor of the month classes. It's a tricky subject realm hopping and I can see from both sides such as Broadsword don't want to have a penalty for players hopping realms due to losing subs/players and players that do have realm loyalty see players flying all over the 3 realms which frustrates Zerg leaders and players. I'm one of those that do get frustrated seeing a Zerg run out die and lose 20 players because they lost and then find they moved to the realm that is winning. If we introduced realm timers that would be a loss for broadsword on subs. If we introduced realm loyalty bonus I'm not sure how effective it would be. If we added different prices for playing all1 or 2 or even 3 realms I think there would be an up roar. However great idea's!! There no real answer because the problem was clustering of servers that caused this. Realm hopping has been going on for so long that if we changed anything now it would effect the game. We got games coming out such as Camelot unchained that will take half of the player base away and if Broadsword did anything now would probably run players off to that game. I would love to see a change in the relics where there is a reward and I think the debate on this thread has been very good and great idea's. I'm not making opinions for myself here but I'm seeing Broadsword situation. If it was me I would add realm timers and stop players from hopping realms every minute but the situation of the game we just can't do that. I still think realm Loyalty bonus is the only way to maybe stop a part of players hopping but don't think it would stop it fully. I think everyone understands that, currently, making relics more profitable to take is not such a good idea and perhaps <or imo probably> detrimental--- I think the question is how do we make RvR more competitive/challenging....and that requires to know what's possible. RvR ultimately gets down to numbers; while I still believe smaller numbers <to a point> can prevail, balance decisions have driven that out of the game <that is decreased the gap significantly between 'groups' or 'zergs'>, so whatever changes are made have to be viewed through the scope of how that change can or will be exploited by a number <read as player> flow to one 'side'. I see people only mentioning rewards and bonuses for relic captures. Which is fair, but the reward for defending will need to be increased as well. This might encourage people to stay on there current realm and increase willingness to defend. In addition to realm loyalty bonuses, there could be a system in place to reduce # of rps earned for switching realms within a window of time. Crossrealming plays into this, but raging at people for it isn't going to fix it. It's gone on too long, and certain thresholds have been passed where going back would likely lose quite a bit more than it gains. A realm loyalty timer might help a little, but people are going to play where they are going to play - with their friends or where the action is. If I log on Alb and I see the frontier chock full of Albs, I'm going to switch - those people are out there for PvP not RvR. They usually aren't going for keeps or much of anything during my playtimes, so in the end, now everybody has somebody to fight against. Doing it during a raid or to gank somebody after a wipe is pretty arse, but I'm not sure what can be done to stop it. Mythic/Broadsword has seemingly let quite a bit continue on for too long in my opinion, and now it's too late to go back. That's why I was excited for an alternate ruleset server - be it official or not. It offers a clean slate and a chance to go back on some ideas that didn't pan out correctly. I get why some people think there needs to be a reward for taking the relics, but I agree with most on here that you can't reward it too much or you encourage everyone to stay on the realm w/ the highest population. As far as I am concerned they work fine as they are right now, but if you really wanted to add some sort of a reward then give everyone 5k rp's that are a part of the BG that take a relic back to their home realm. I think maybe also tossing 5k rp's to the realm that has a successful relic defense should also be in order. Anything more than that would be too much in my opinion. Foolish idea, as if Alb during EU prime time needs to be more hindered. There were 180 on yesterday (let that sink in, 20:30 GMT, only 180) and only 70 of those were in the frontiers. And all we had was Anna and Hero pveing keeps to avoid each other. If you attach an RP reward such as what you're suggesting you're just going to see what we saw during the Ghost Keep event; that being a large amount of people switching over to the realm capturing so that they can get the easy rps. That doesn't have to be true though. It's already been mentioned that it's too easy to PvE relics. If there was a bonus, it would entirely make sense to change the relic system in its entirety. (including difficulty) There could very easily be a way to make it more difficult, and or less farmable than GK was. Certainly it doesn't have to play out like the ghost keep event but looking at past history I fear it will. Personally, I would like to see the relic temples redesigned to relic keeps/fortresses. In my mind the location the relics are stored should have the greatest security.